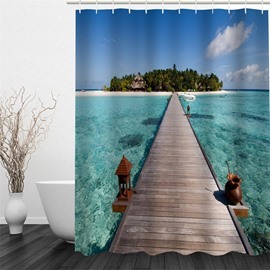 This shower curtain will take you from a small bathroom to the beautiful seaside. 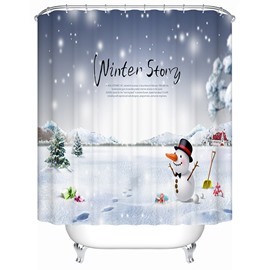 Using high-quality polyester fabric, waterproof and mouldproof, this product will give you not only a visual enjoyment and a great using experience! 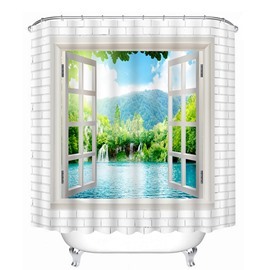 You will not be regretful to bring the beautiful beach scenery to your home! I loved it! 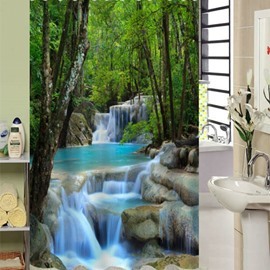 It was true to the picture and is very pretty for my small apartment batheroom. 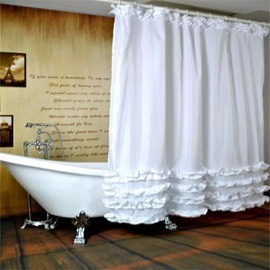 You should purchase the waterproof liner with this fabric curtain as well as the double sides hooks. 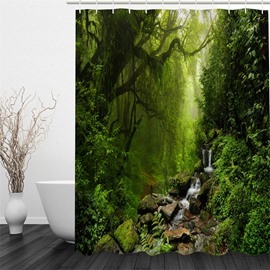 The shower curtain arrived very promptly and looks exactly like the picture. I was pleased to find that the hooks were included. It does not come with a liner so I will be purchasing that separately. Couldn't find anything I like in stores. Everything was hideous and overpriced. Saw this on Beddinginn and loved it immediately. Just the colors and artistic style I was going for. 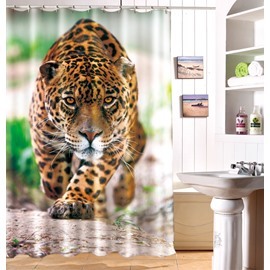 Bathroom looks so much cooler now. 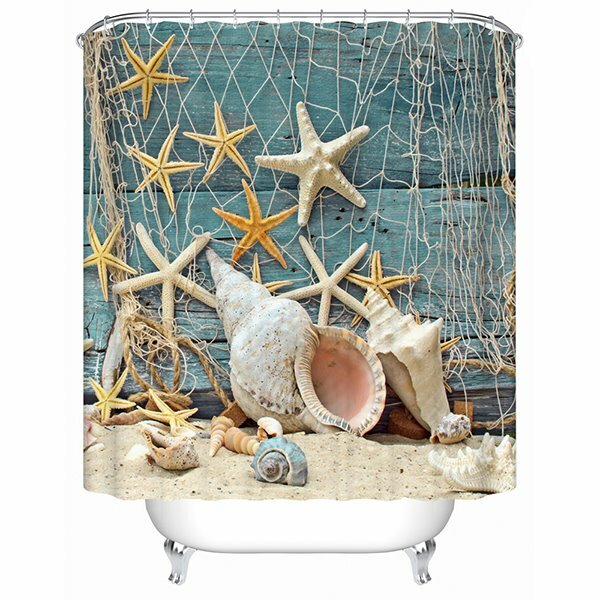 I bought this curtain for my have bath that I was doing a kracken/sea theme for. 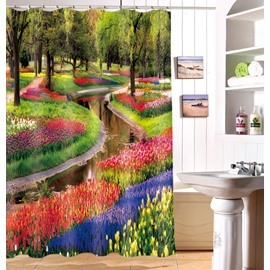 I use it to cover a weird closet area where I guess a shower or tub would go it it was a full bath! It looks great. The print was great! Its not faded or pixelated or anything.